Historically a collection of agricultural hamlets, Uruma City is a hidden gem transforming itself into a tourist destination for travelers interested in everything from bio diversity to castle ruins to beaches and islands galore. Bios on the Hill is a forest, mountain and lake preserve that allows visitors to explore on foot or by boat. 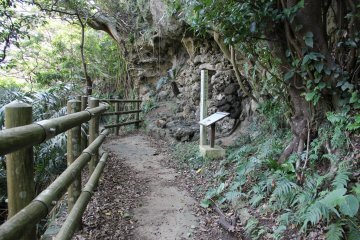 There are giant ferns, Okinawa's largest wild orchid collection, multitudes of wild birds and insects, and dense sub-tropical forested jungle. Katsuren Castle Ruins is a UNESCO World Heritage Site. 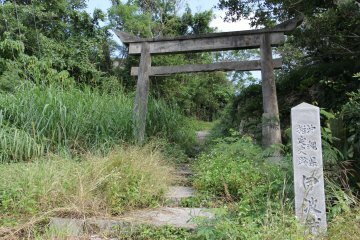 It was the point of control of Katsuren Peninsula and the surrounding area until the Ryukyuan King at Shuri Castle removed its rebel lord. Uken Beach along Kinbu Bay in old Gushikawa is representative of the many beautifully prestine blue water beaches in Uruma City. The 300 meter long beach is popular for swimming, sunbathing, aquatic sports, fishing, camping, and beach sports. 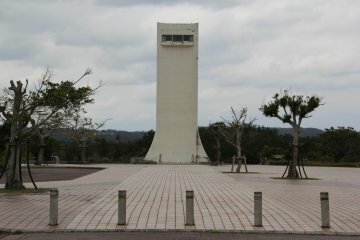 The Yakena Straights Observatory is a collection of viewing points near the end of Katsuren Peninsula that is very popular with photographers. 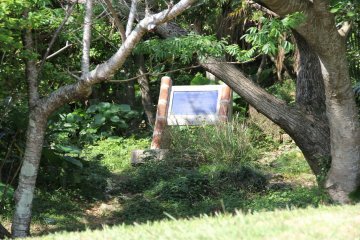 It features impressive vantage points to enjoy blue water lagoons, the Kaiichu Doro Inter Island Highway, and nearby islands. Kurashiki Dam tops off its vital role of flood prevention and water conservation by offering a beautiful park setting full of adventure. The largest of Okinawa's dams, Kurashiki is really a recreation destination. The administration building has a small museum featuring a bat themed cave with water experimentation stations and a small theater that plays a water conservation movie. The Dam itself can be traversed by car, bike or foot. Uruma City also has points of interest just for children. The Mini Mini Zoo and Fresh Egg Shop is a small zoo that also sells delicious pastries and serves Okinawa's own Foremost Blue Seal ice cream. Xystus Kids Land is an indoor playground that offers amenities for the whole family. Udon Donburi Donya loosely translates into English as Udon Bowl Donya, a very nice restaurant within the San-A Main City in Ur..
Little adventure in Okinawa on a hidden beach in the Miyagi Island. We camped for the night and explored a bit around the area. La Mer Bakery and Cafe is a very pleasant surprise to anyone that happens to take a wrong turn down the "middle" Route 224 in Okinawa..